Do you need a marketing edge for your properties, that special "something" to make your listings stand out in a down market? 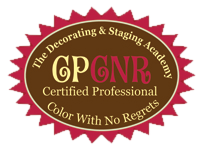 If you are a real estate agent in northern New Jersey, including Bergen, Morris, Hudson, Passaic, Essex, and Union Counties, and have clients who need their homes staged, please contact me at 201-390-4649 to discuss the discounts I offer to agents who pay for staging consultations as a value-added benefit to their lucky clients! Do you have sellers whose homes have pet odors, outdated, cluttered decor, repairs they are resistant to making? I can tactfully handle all of those "sticky" to-do issues that you may feel too uncomfortable discussing with clients, and help you and your clients get top dollar for their homes. Why not be the agent who presents their customers with the option of staging to sell their homes faster and for more money, instead of having to suggest painful price reductions? I can provide the information and statistics that prove an investment in staging usually pays off in faster sales at higher prices. Of course, a happy customer is your best word-of-mouth advertising. It's a win-win situation for everyone.